Where every day feels like the weekend! Vacation planning? Imagine scuba diving the Great Barrier Reef off the coast of Australia on your vacation, or exploring a wreck off the exotic shores of Fiji. 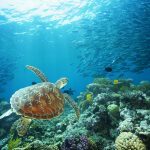 Dive & travel Australia on one of our vacation packages. Landbased or Liveaboard tours. Travel in style and comfort with all your arrangements taken care of on our all-inclusive escorted Australia tours & vacations to Australia & New Zealand. Best guided vacation packages. Customize your Vacation! Tell us what you want – travel dates, trip length & tour interests – then we’ll design your perfect travel package to Australia, New Zealand or the South Pacific. Curious? Sign-up to receive our vacation deals to Australia & New Zealand, travel tips, special events, announcements & the occasional joke or two. Walking Tours. Nature lovers everywhere travel to Australia & New Zealand to hike the world’s best walk tours, like The Great Ocean Walk & Milford Track. Walking tours are the best way to see nature. Maybe you’ll spot the elusive Koala in its native Australian gum tree! When you travel by train across the rugged Australian Outback you’ll be sure to see the majestic landscapes and wonderful wildlife only found in the heartland of Australia. Find your perfect Australian or New Zealand train vacation. Thinking about turning your dream of visiting Australia into a reality? Lucky for you, we are native Aussies and the experts when it comes to booking Australian travel! We provide you with the opportunity to choose your own itinerary and customize your Australia trip exactly to your liking. Start off by deciding whether you want to travel to Australia, New Zealand, Fiji, or even a combination of these countries. We can help you make the decision based on what you want out of your Australian experience. You can choose from a number of vacation styles including independent, self-drive & guided tours. There are a vast number of things to see and do in Australia, so it helps if you make a wishlist of what you want to accomplish. Once you have a feel for what you hope to see and do, we have the opportunity to really help you out. We’ll make recommendations about the best cities, tours, and places to visit during your trip. We’ll guide you through your options so you can make informed decisions. We want to make sure you fully understand your choices so you’re delighted with the final itinerary! To begin, choose from one of our many itineraries and tell us any adjustments you would like to make. Or, if you would like a totally custom vacation, call or email our team to begin the planning process. With our ‘modular’ itineraries we can easily customize any travel package by swapping day tours, switching hotels for upgrades, or adding/removing destinations based on your preferences – its easy! If you’re having any trouble deciding, just contact us and we’ll weigh through the pros and cons to ultimately help you make a decision. We even help you work through the trickier details of planning your Australian vacation like selecting the right accommodation, day tours, routing, flights, transfers, visas and trip insurance. We know that working out the finer details of any vacation can be stressful, so we’ll help you plan everything so you get the most ‘bang-for-your-buck’. Once your trip design looks perfect, we’ll book it for you. The only thing left for you to do is go on vacation and have a fantastic time! Whether you’re on a budget or you’re planning a luxury getaway, we’re here to help you plan the trip of a lifetime! Get-A-Trip-Quote or Phone us Toll Free on 1-888-3592877 (CT USA, M-F 8.30am – 5pm).